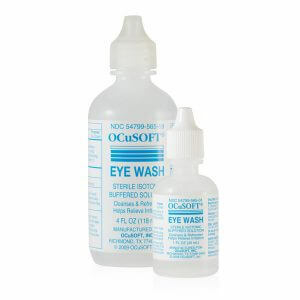 OCuSOFT® Lid Scrub Foaming Eyelid Cleanser is an instant foam lid hygiene cleanser. A pre-lathered foam immediately dispenses upon depressing the control tip pump generating a lather thus providing added convenience to patients on a lid hygiene regimen. This unique formula is economical and ideal for use in the shower. Available sizes: 1.68 oz. & 7.25 oz. the order was placed on 6th july, today is 23rd and i have yet to receive my order…… can you let me know where my order is? Great product for cleaning off and keeping off eye lid dandruff. A little pricey but worth it. The front desk person was very friendly and helpful. She made me smile! The products are great! However, the shipping is very expensive. You should offer a longer shipping option for customers that are price sensitive and don’t need their products within 2 days. Excellent product and the price was right. Speedy delivery, although I could have waited a couple of extra days to keep the delivery cost down. Product received exactly as ordered and on time. Only concern was cost of shipping ($12) which seemed high for a 14.5 oz package. Would UPS be cheaper than USPS charges? 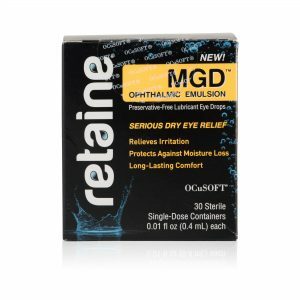 I am happy that my Doctor recommended Retaine for my dry eyes. 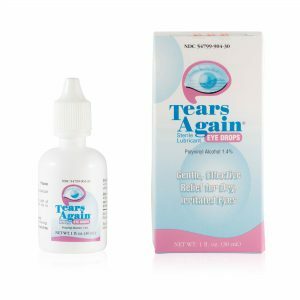 Great product that makes my eyes feel good after using. Great service and products. Fast shipping and got my order quick. Shipping charge is rather pricey though. Overall a great experience. Excellent Price for an excellent product! Highly recommend this website to purchase this item as it arrived in a very timely manner and nicely packaged, too! I would definitely do business again. Service is great as is the product’s price. However the shipping cost is way too high, quite a bit more than other vendors. Extra big bottle. Pair with the refill cleansing pads for the most savings vs the premoistened kind. Gets the makeup out from under the lashes after you have used makeup remover. The only thing I found that works to clean eye lash build up such as dandruff, clogged pores, etc. I use daily for maintenance and rarely have any reocurrence. My daughter has suffered from blepharitis since she was 4. After being prescribed way too many steroid drops, I switched doctors and through using this and taking omega 3 supplements, she’s been without a flare up in over a year. This is easy to use, doesn’t sting at all, and she washes her face with it every night and every morning. The lid scrub works well and is very gentle on my eyes. But I liked it better before it came as a ‘foaming’ cleanser so I use it that way, by just putting a few drops of the liquid on the pads as needed.